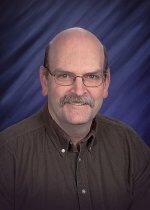 Congratulations to Chuck Peden on being elected the 2008 Chair of the American Chemical Society's (ACS's) Catalysis (CATL) Secretariat. The secretariat regularly organizes and cosponsors symposia at the national meetings of the ACS, but equally important is the Secretariat's role in integrating ACS divisions' activities concerned with catalysis and surface science to encourage comprehensive coverage of these subjects at ACS national meetings. Chuck's election as chair of the CATL is due, in part, to his longstanding contributions to catalysis science and engineering. He is particularly well-known as a leader in fundamental and applied studies of catalytic materials and processes for the control of vehicle exhaust emissions. His work has spanned the range from basic science, including ultrahigh vacuum surface science experiments on model single crystal catalysts, to applications-oriented efforts that are impacting the practical implementation of new "lean-NOx" reduction technologies. In addition, Chuck is very active in the scientific community, publishing numerous journal articles and actively working in professional societies. Besides his activities with the ACS, he is a member of the North American Catalysis Society, the American Institute of Chemical Engineers, and the Society of Automotive Engineers. He was elected a Fellow of the American Vacuum Society in 2000 in recognition of his record of fundamental surface science and catalysis research.